There is a reason why the headline of this blog is ‘Slowly getting there’. I seem to be like a turtle, slowly treading through various paths until I find my way. This time this concerns photography and the end result. I have been taking photos for a while now, and for the past few years I have been looking for a way to bring them into the physical realm. 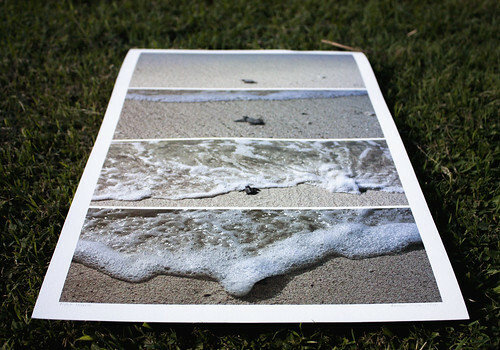 Inspired from various blogs and artist’s pages, I grew to love the look and feel of photographic prints. I am finally at the point where I decided on a set of photos/storylines and I printed them on beautiful rough rag paper. As it stands my plan is to make only 10 pieces for each one. These prints are from Lady Elliot Island and they found a home but I plan to make these available on our Etsy shop soon enough, within 6 months or less. 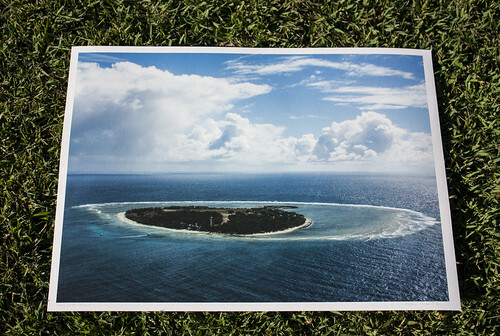 The first print is an aerial view of Lady Elliot Island. 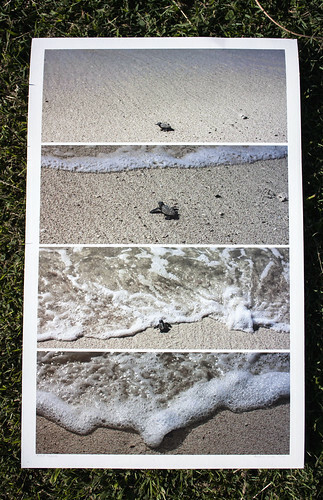 The second print is a Loggerhead Hatchling’s first encounter with the ocean. This entry was posted in Mon Atelier, Photographish and tagged archival paper, etsy photos, Lady Elliot Island, loggerhead hatchling, photography, print, rough rag. Bookmark the permalink.